western movies and television shows from all over the web for you to watch here for FREE . 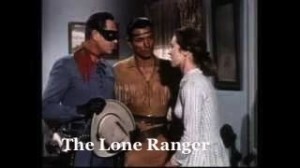 This Lone Ranger episode western tv series show starring Clayton Moore and Jay Silverheels is from season 1 episode 5 . Directed by George B. Seitz Jr.. With Clayton Moore, Jay Silverheels, Harry Lauter, Joseph Crehan, Dickie Jones. Fred Vance wants to live by the law and be left alone There are some outlaws who have kidnapped a local ranchers son and Fred is persuaded by The Lone Ranger and Tonto to help rescue the young man. Introduction by Bob Terry.